Total Wattage of Fixtures= No of Lamps X each Lamp’s Watt. 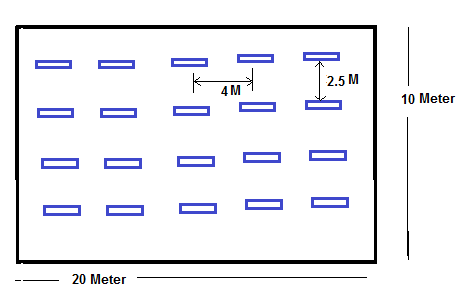 Maximum spacing between Fixtures =2×1.25=2.25meter. Transverse Spacing between Fixtures = 10 / 4 = 2.5 Meter.